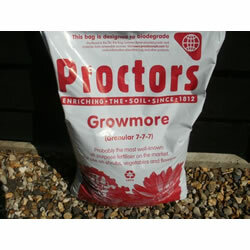 This listing is for a 20 kg bag of Growmore, perhaps the best known general garden fertiliser, from the original manufacturer, Proctors. 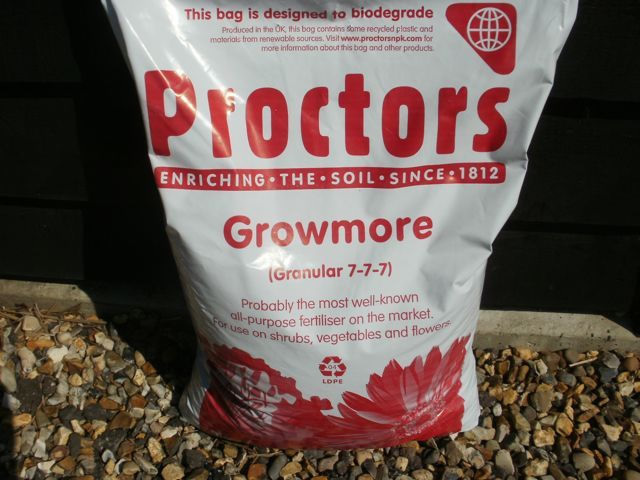 It's is suitable for flowers and shrubs and also fruit and vegetables. It will considerably boost growth and give healthy flowers and larger better quality fruit and vegetables. The chemical composition is 7 -7 -7 (nitrogen, phosphate and potash) Application rate is 35 grams per sq metre (one bag will treat approximately 570 square metres) The price per kilo is considerably cheaper than you would pay when buying a similar product in small boxes from DIY stores or garden centres We normally dispatch the day you order on a next business day service.